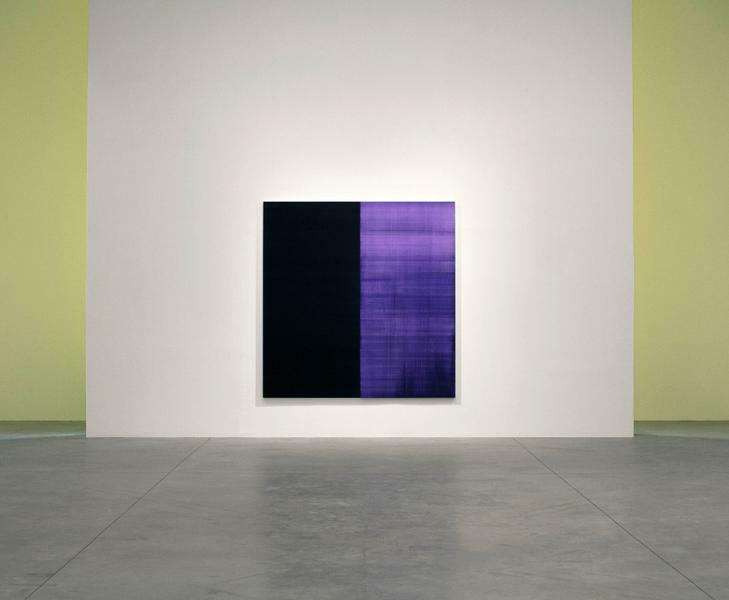 Château La Coste is pleased to announce In Position, the first major solo exhibition in France by the Scottish artist Callum Innes. 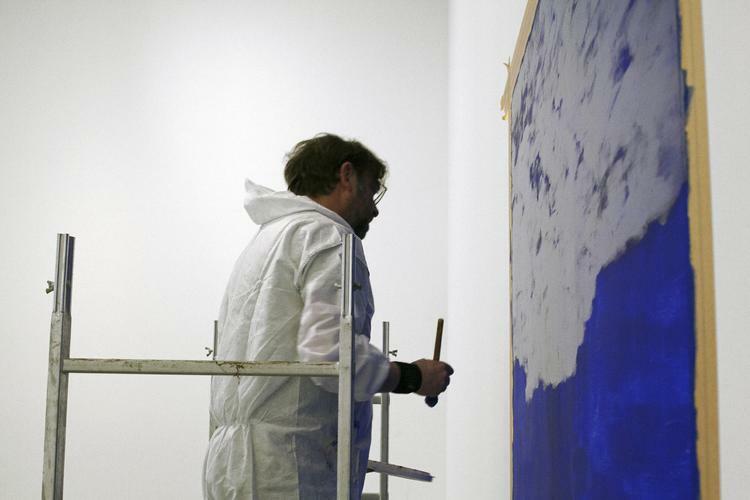 Innes has considered an installation in response to the Jean-Michel Wilmotte-designed gallery space, that includes three site-specific wall paintings, watercolours and a major new canvas work. A fully-illustrated publication will accompany the exhibition, featuring a new text by critic and art historian Éric de Chassey (Director General of l’Institut National d’Histoire de l’Art, Paris). 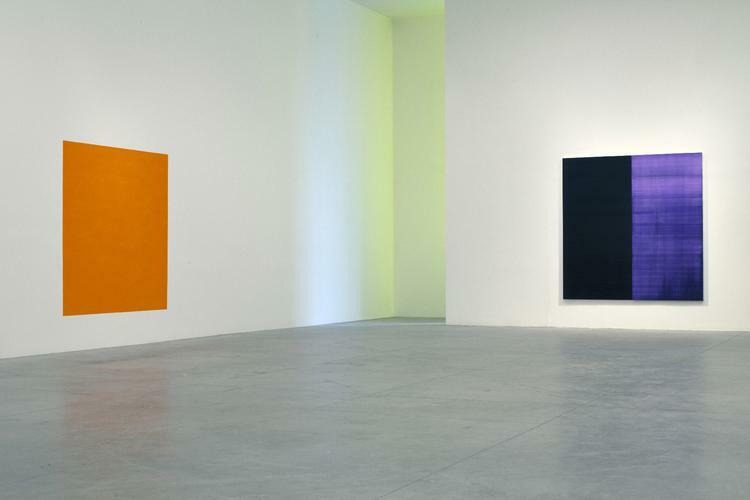 One of the most celebrated abstract painters of his generation, Innes responds to the landscape and architecture of Château La Coste with a series of three monochromatic wall paintings. Rendered in intense colour, each form is a subtly distorted geometric shape that activates the wall, disorientates the viewer, and almost seems to waver like a pool of water. 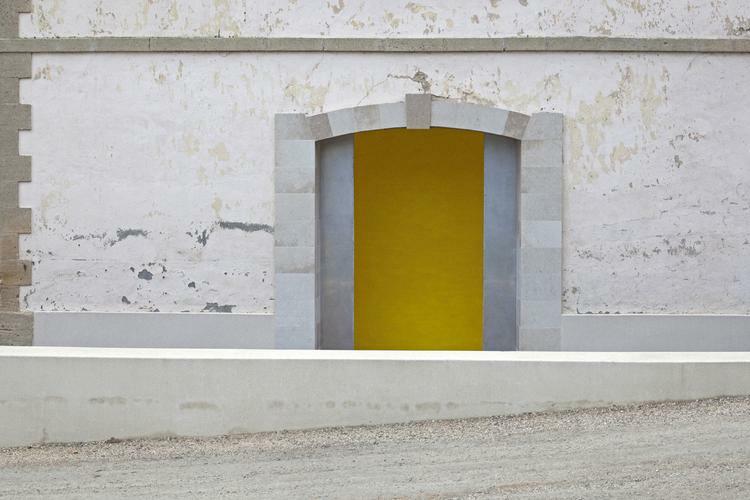 These slightly off-kilter forms relate to the architecture of the converted Provençal winery that houses the exhibition, the verdant beauty of La Coste’s vineyards, and the warmth of its Mediterranean light. 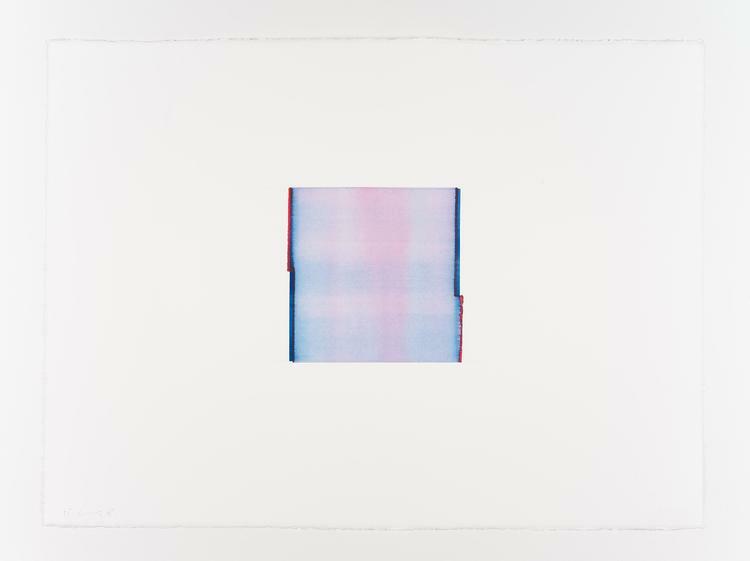 Innes will also present a series of 22 watercolours on Canson Heritage paper. Here he layers airy, translucent washes with great delicacy. 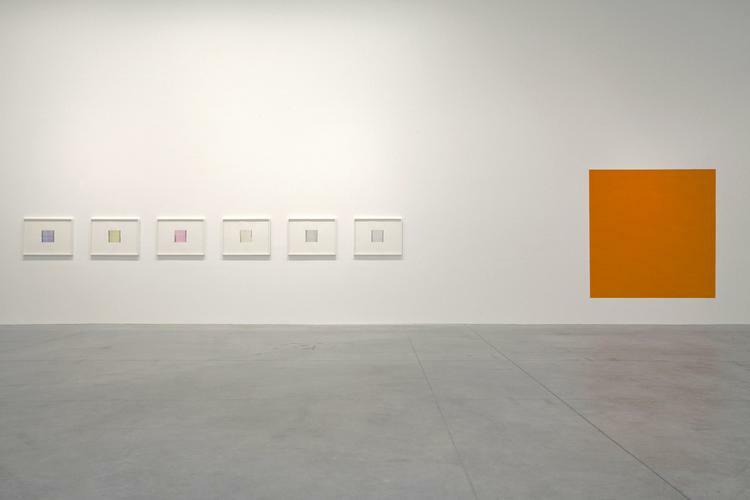 These works are shaped by a certain duality, each pairing two colours that are identified in their titles. 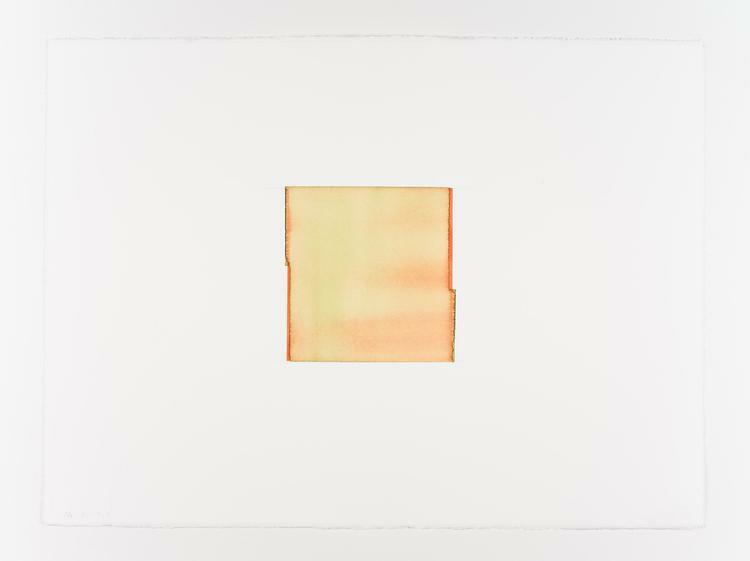 Pigments coalesce and blend on the surface of the paper, creating new colours of soft gradients and undulating hues. As is often the case with Innes’ work, our attention is drawn to the edges of the painting, where puddles of pure colour gather at the peripheries. 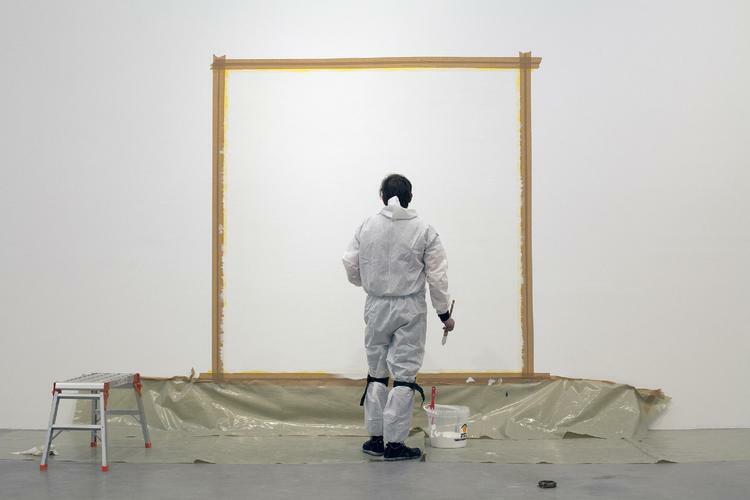 A large-scale oil on linen work will also feature in the exhibition – Untitled No. 22 Lamp Black. In this bilaterally divided canvas, Innes demonstrates a signature technique of building layers of oil paint, before stripping away sections using a turpentine wash. This methodical process allows rivulets of paint to trickle down the surface to reveal deep violets in the pigment’s chemistry. 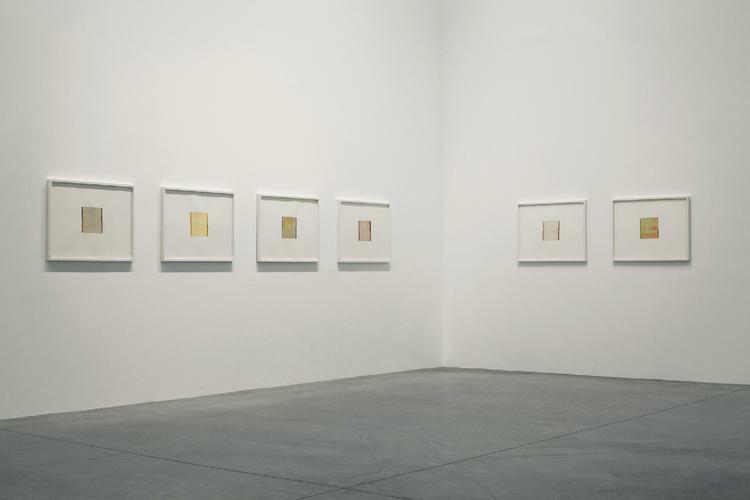 This tendency towards formal dissolution characterises Innes’ abstract painting, drawing upon the legacies of both Minimalism and Abstract Expressionism to create a delicate balance between gesture and restraint. To accompany the exhibition, Innes has also produced a new series of lithographs and a limited series of 100% cashmere blankets, specifically created for Château La Coste. 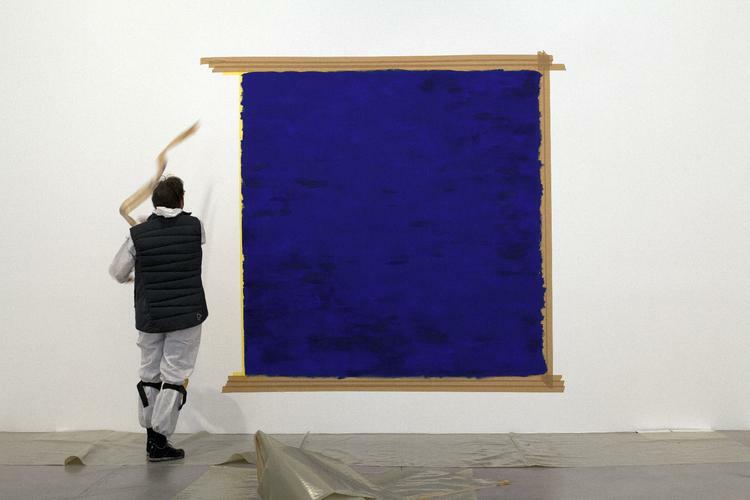 A new publication, produced with Kerlin Gallery, will also be available. 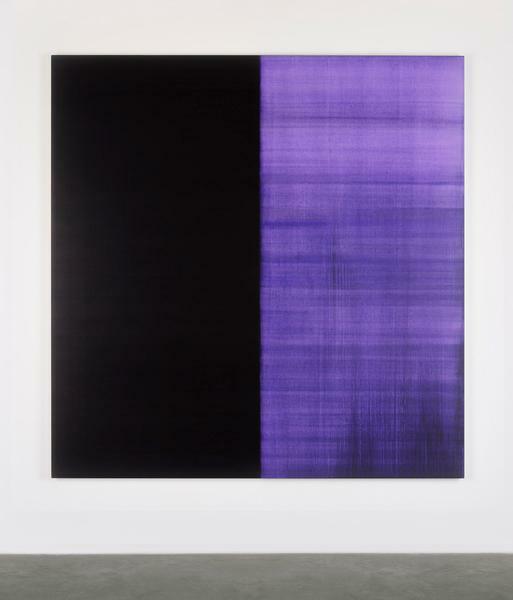 Callum Innes has exhibited widely since the mid-1980s. Solo exhibitions include I’ll Close My Eyes, De Pont Museum, Tilburg (2016–17); Neues Museum, Nurnburg (2013); Whitworth Art Gallery, Manchester (2013); From Memory, a major touring exhibition visiting Fruitmarket Gallery Edinburgh, Modern Art Oxford, Kettle’s Yard Cambridge and Museum of Contemporary Art Sydney (2007–2008); Irish Museum of Modern Art, Dublin (1999); ICA, London (1992) and Scottish National Gallery of Modern Art (1992). Public collections include Centre Pompidou, Paris; Solomon R Guggenheim Museum, New York; TATE, London; Modern Art Museum of Fort Worth, Texas; National Galleries of Australia, Canberra; SFMoMA, San Francisco and Scottish National Gallery of Modern Art, Edinburgh. Château La Coste is a destination where wine, art and architecture meet in the heart of Provence. Located 20 km north of Aix-en-Provence, Château la Coste sits on the gateway to the Luberon Valley, covering 200 hectares of wooded hilltops, stunning views and 123 hectares of organic vines. Since 2002, artists and architects have visited La Coste to explore the landscape and choose a site that spoke directly to them. Today visitors can discover these permanent artworks and architectural pavilions throughout the property, alongside a new intimate hotel and different dining options on site. The architects Renzo Piano and Jean-Michel Wilmotte have each designed a gallery that now hosts a programme of exhibitions. 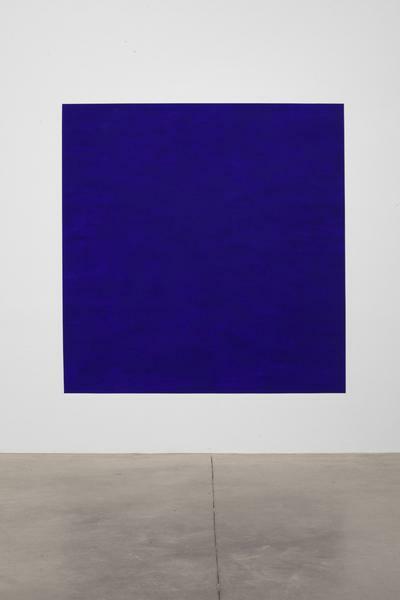 Recent solo presentations included Sean Scully, Ai Weiwei, Lee Ufan, Hiroshi Sugimoto, JR and Giuseppe Penone.